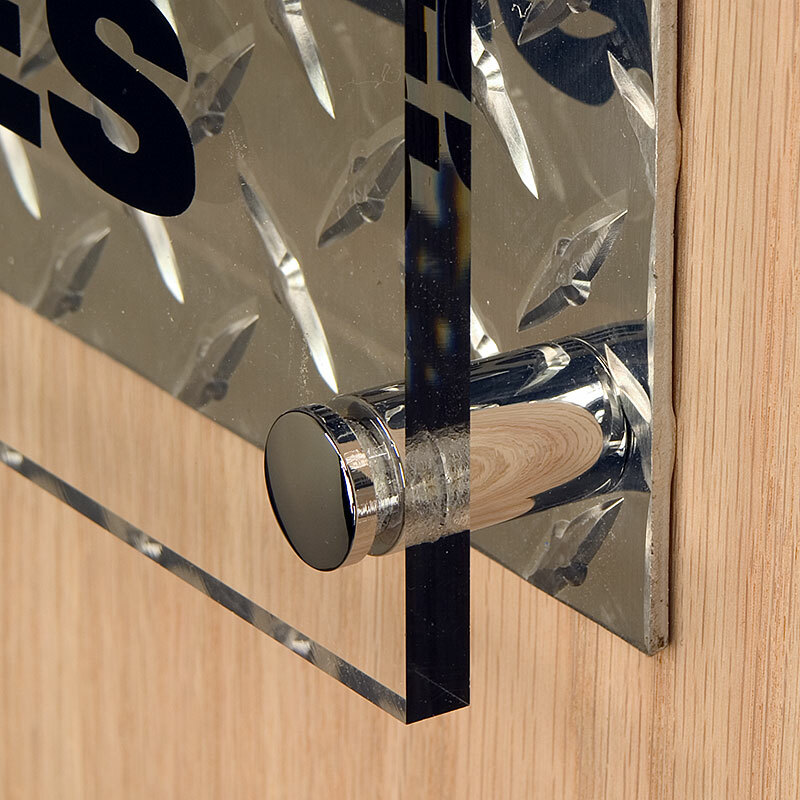 Assemble multiple layers of panels for added interest. 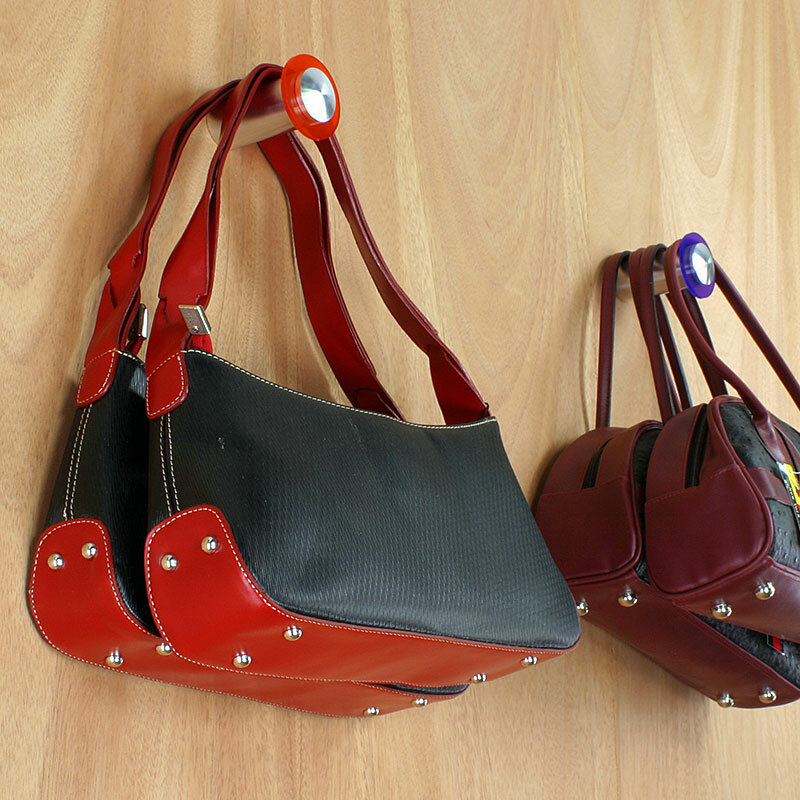 Create hooks for merchandise by mounting single standoffs to walls. 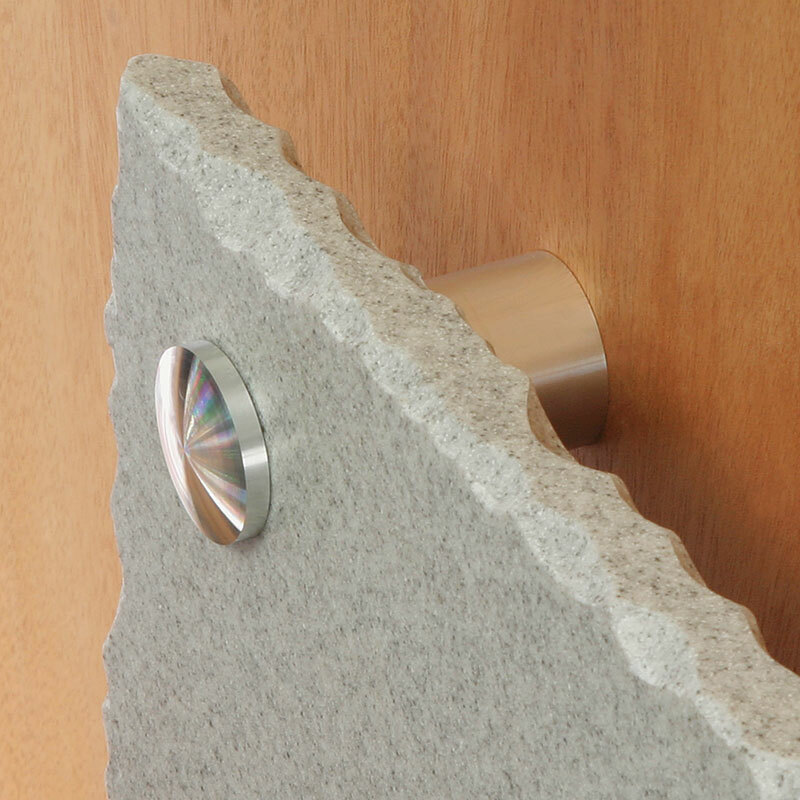 Try unusual materials, such as this Corian® Solid Surface panel. 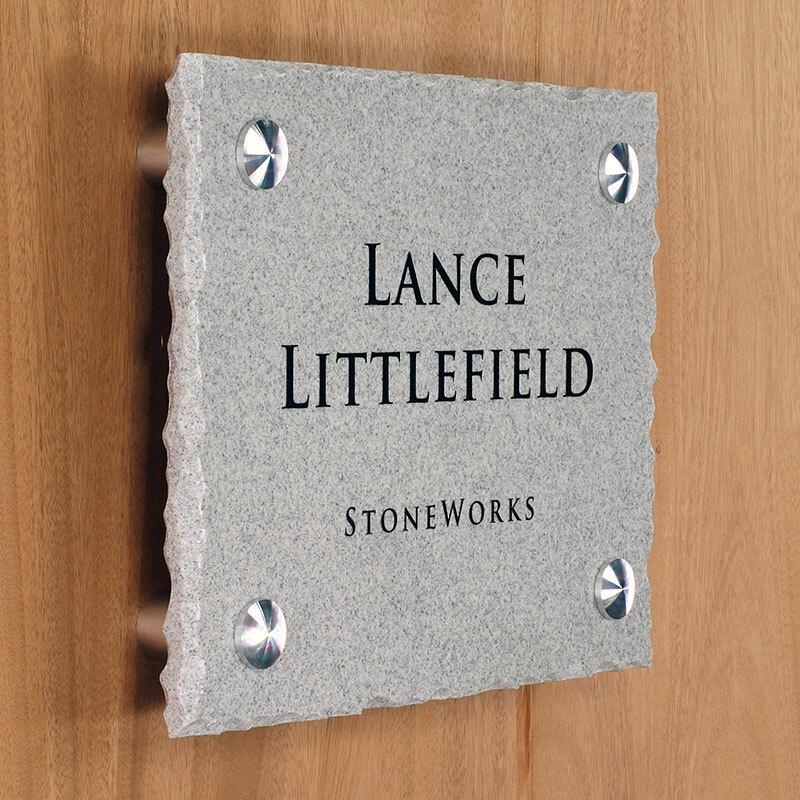 Corian® with chipped edges emulates the look of real stone. 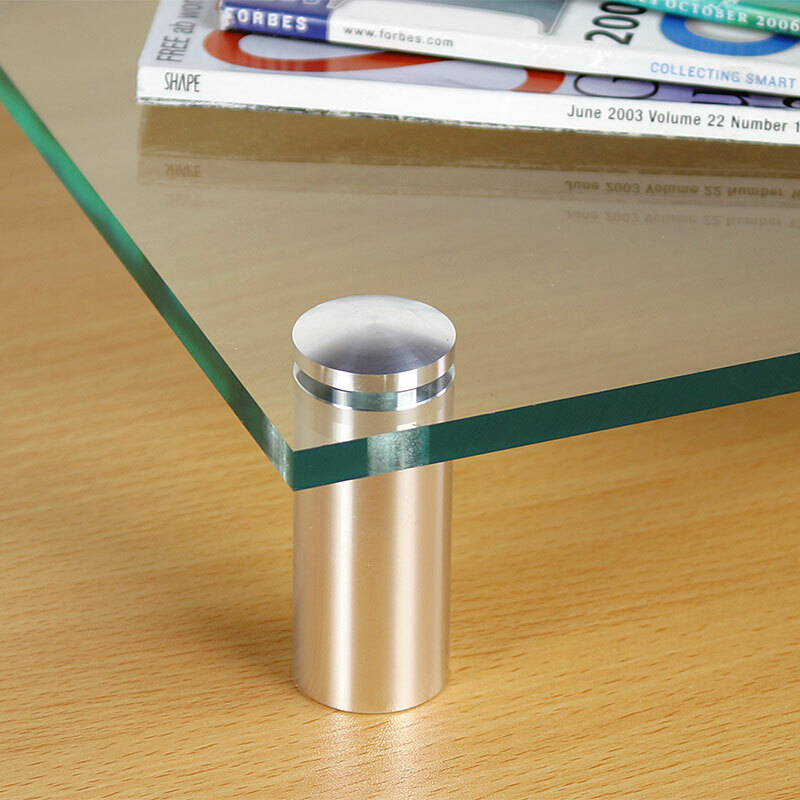 Make shelves with standoffs acting as the legs. 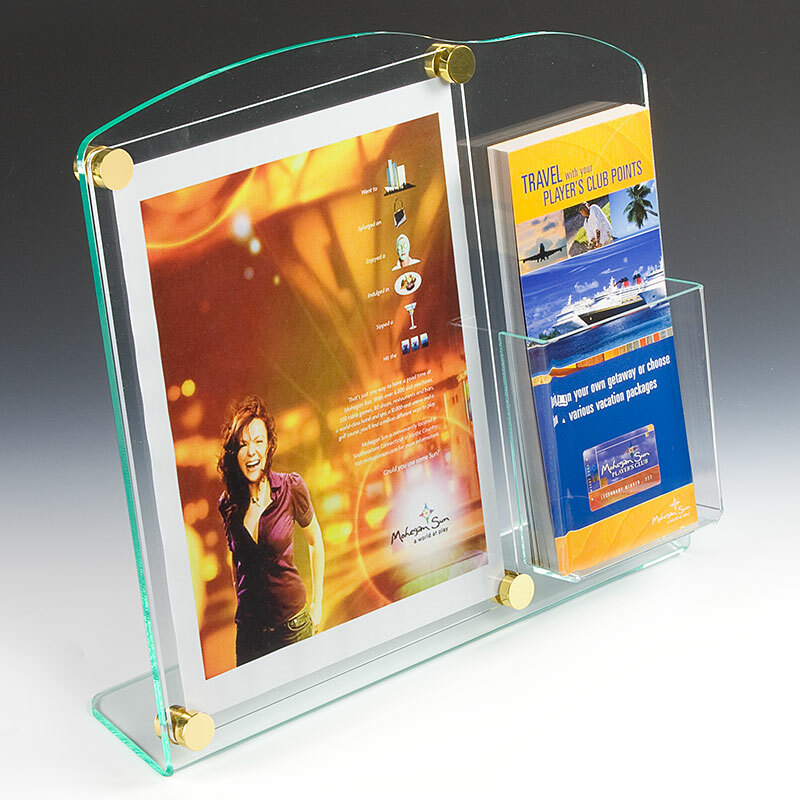 Display risers made with standoffs and acrylic panels. 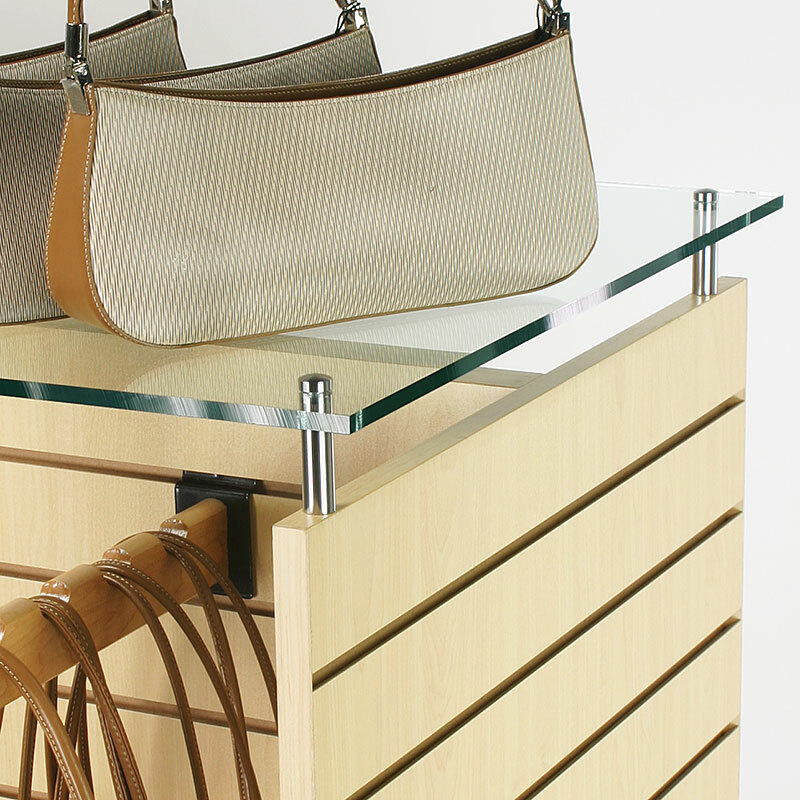 Standoffs supporting a display counter above a slatwall gondola. 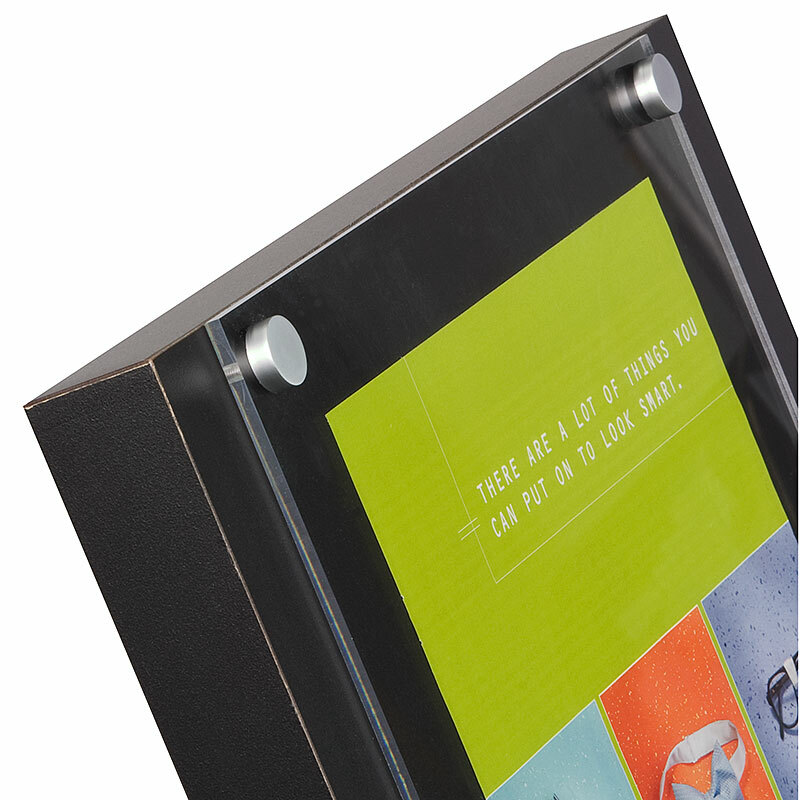 Sandwich caps help to accent this countertop brochure/sign holder. 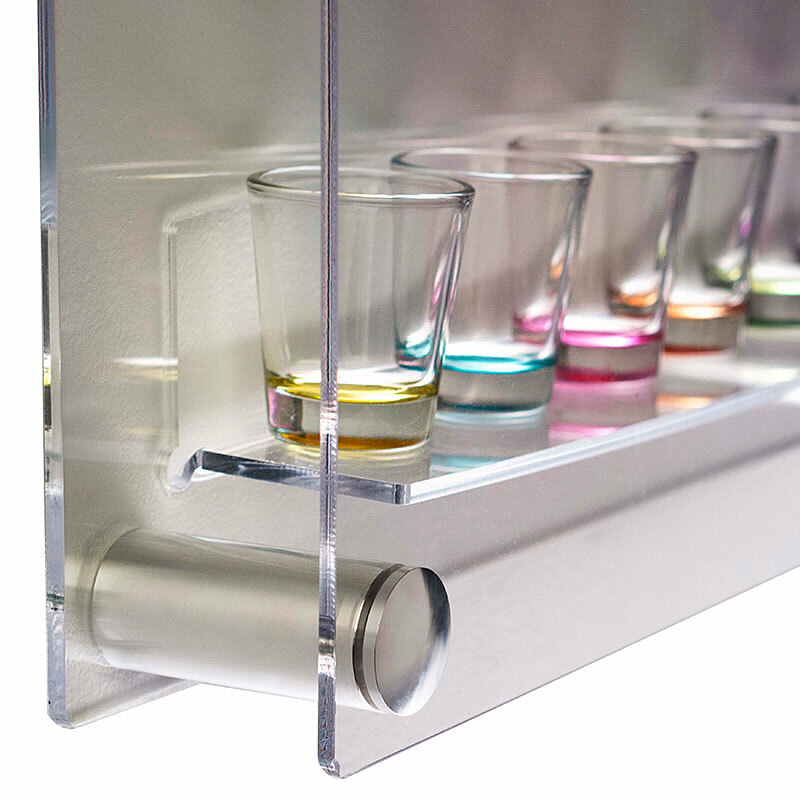 This shot glass display case uses our aluminum standoffs to great effect. 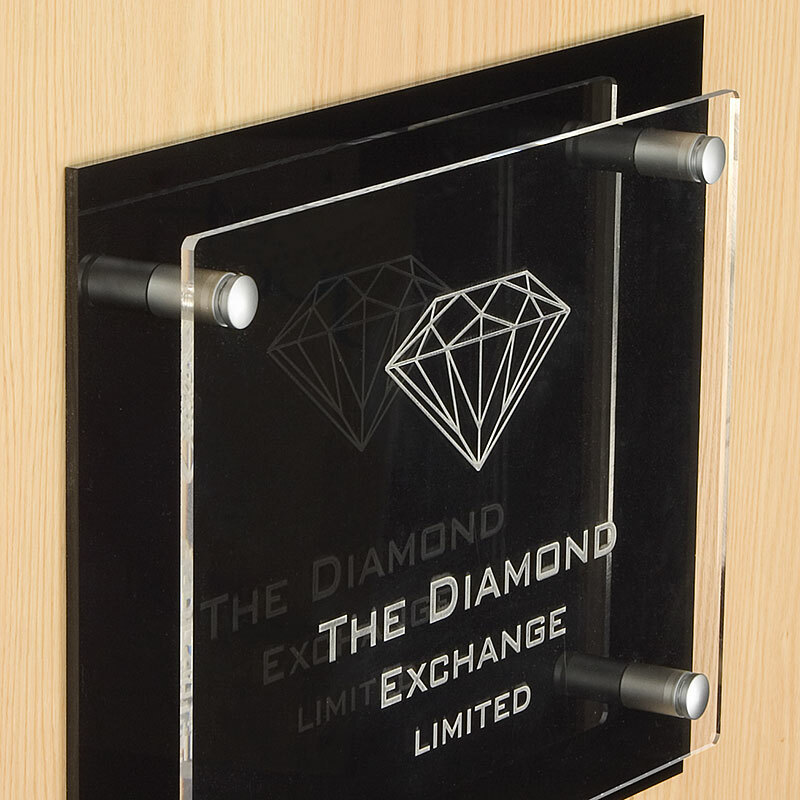 This sharp sign incorporates a diamond plate backer. 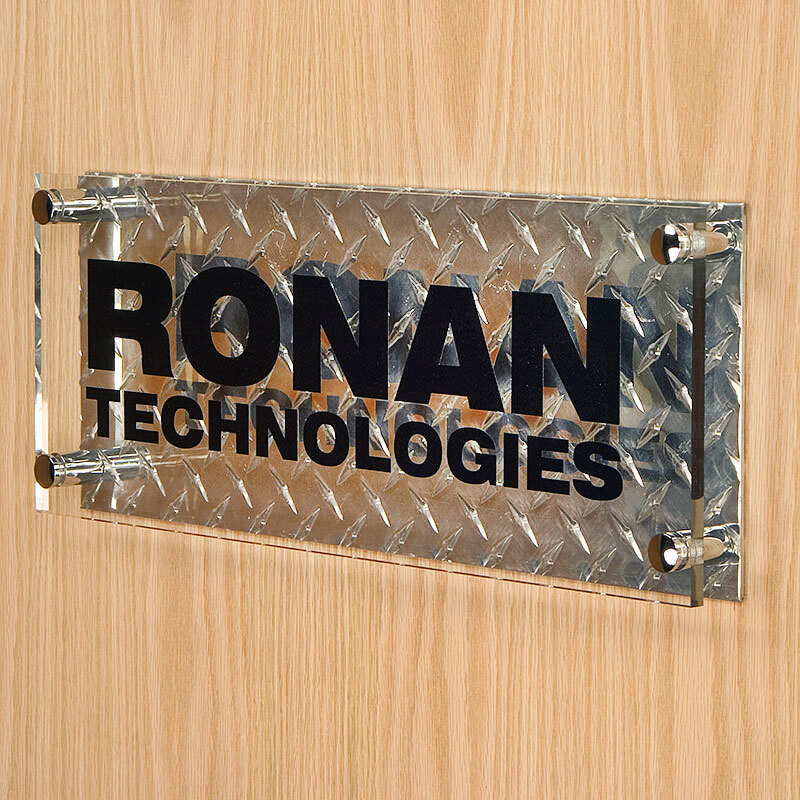 Closeup of an acrylic sign panel over diamond plate backer. 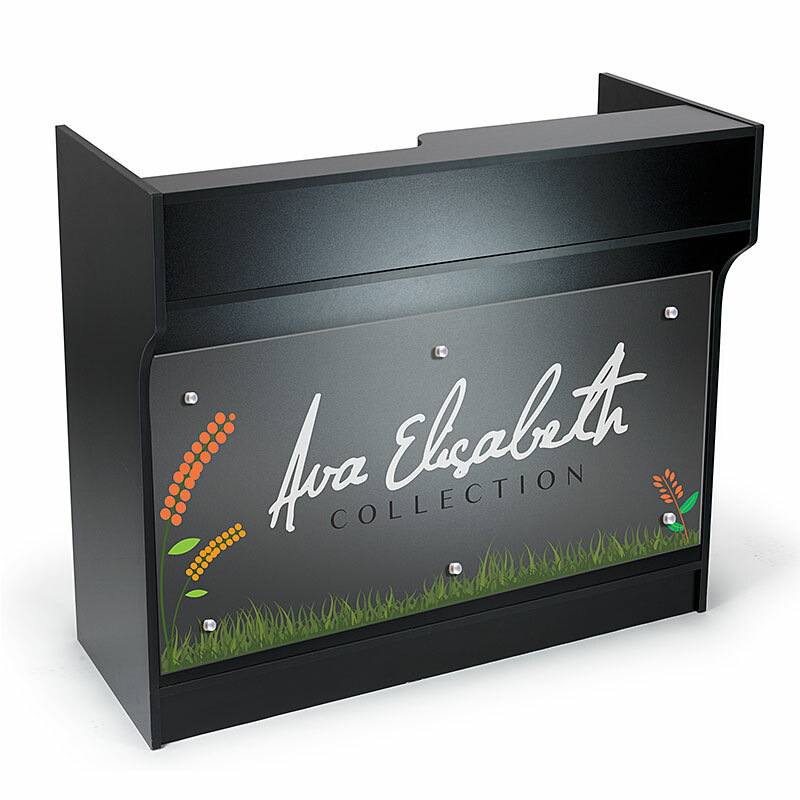 Metal caps used to affix an acrylic faceplate to a sign stand. 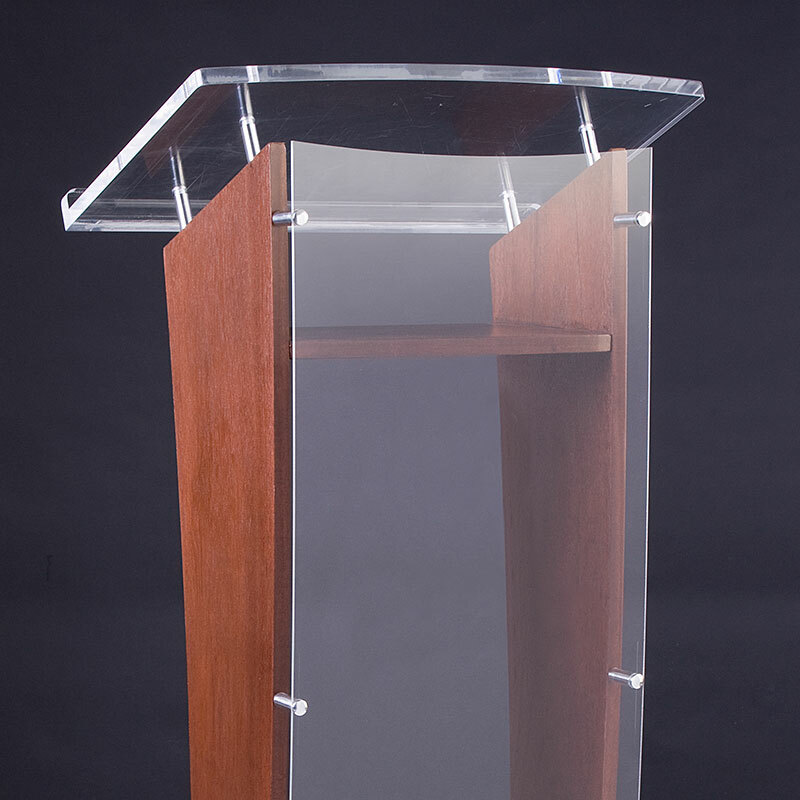 Podium constructed with wood, acrylic, and aluminum standoffs. 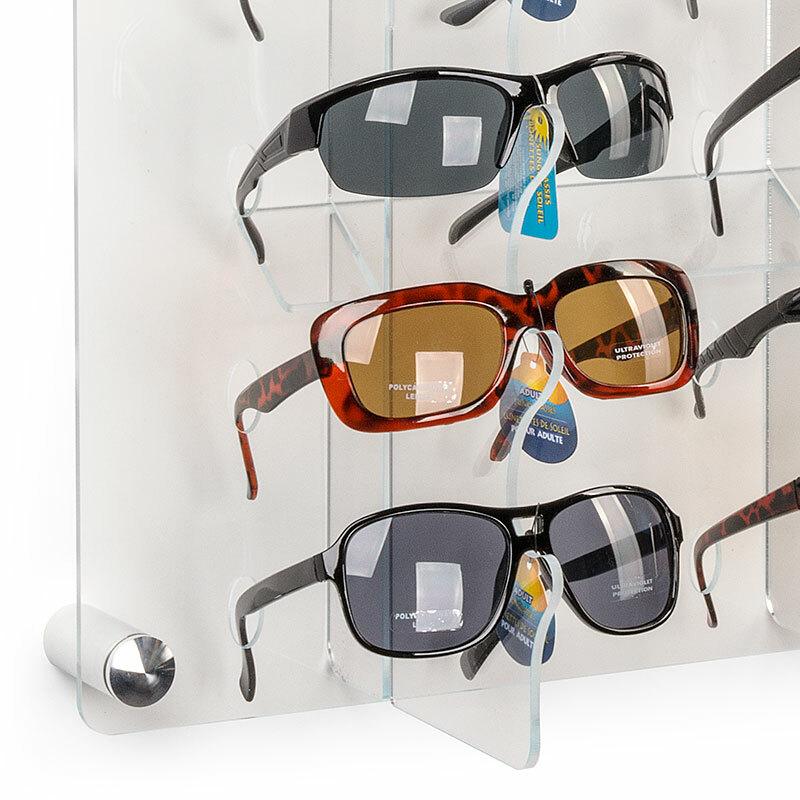 Rack for sunglasses supported by wall-mounted standoffs. 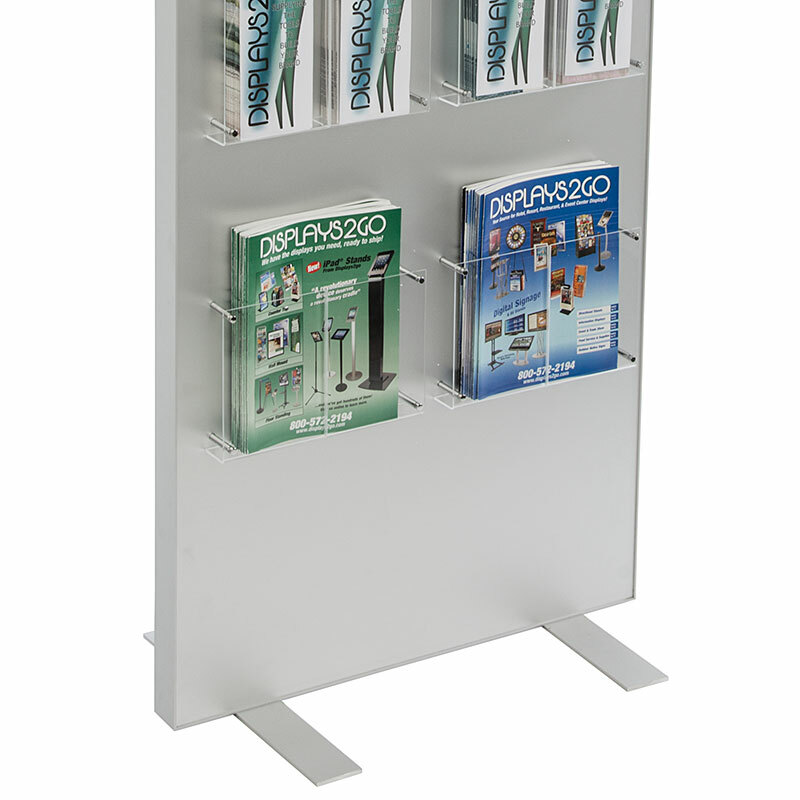 Metal floor stand with brochure holders held in place with standoffs. 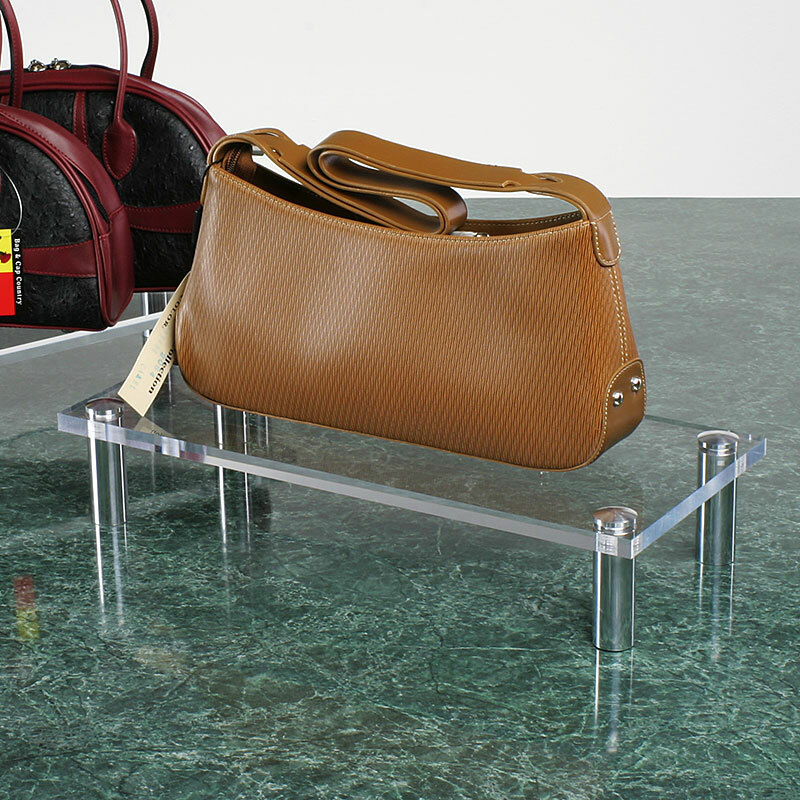 Retail store counter with printed acrylic placard, standoff mounted.